First, there’s the House Goritsi Gotha Knights. 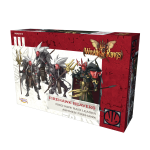 They are the most honorable soldiers dedicated to House Goritsi, these monstrous warriors bring a new stalwart refusal to yield against any number of foes. Once the werewolves dig in their clawed feet, their deathcleavers bring a swift demise to those who test them. 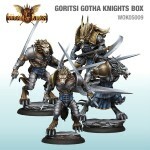 While much of House Goritsi is used to hit-and-run tactics, the Gotha Knights are more hit-and-hit-again unit. They’re the bullies of the battlefield, wading into enemy forces and taking them out with extreme prejudice. So, what can possibly stand up to them? 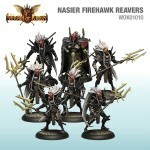 Well, House Nasir would say that their Firehawk Reavers could do the job. Dedicated assault specialists, Firehawks turn in their duelist’s blades for deadly war tridents to become the spearhead of House Nasier offensives. While they might appear slow, they can jump into action at a moment’s notice. They excel at moving from unit to unit, doing damage to the enemy forces. 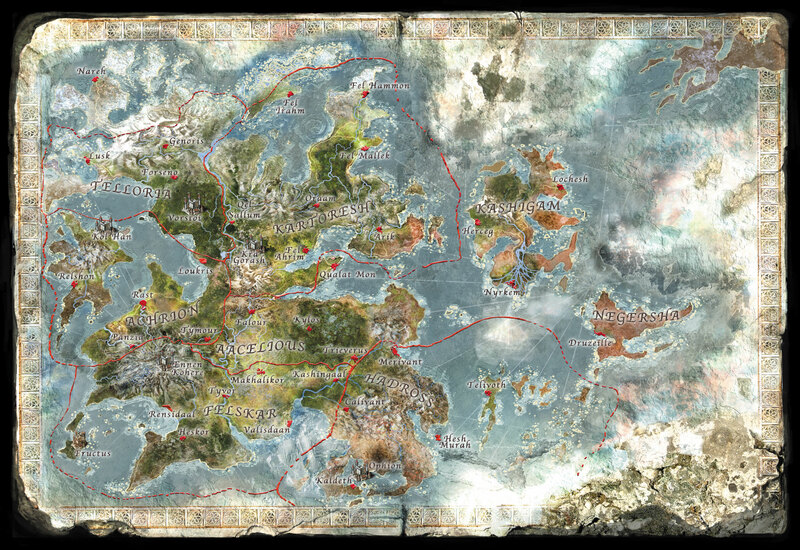 Their efficiency comes from their Raid Leader’s ability to negate enemy special defenses. These two units are ready to take up their House’s banner and head to the battlefield. Neither one is willing to yield, and so when they reach the enemy lines, you know something’s about to break.